So many people these days are worried if it is still safe to travel to France and Europe. While some might be scared off and think about postponing there travels, I am from the mindset that we can keep traveling if we make some minor adjustments that may become the new standard or at the very least a bit of sound advise. As always, security is a number one concern when traveling abroad. Here are some simple things you can do to travel wisely and stay a bit safer. Travel Destinations- You might still travel to all the wonderful destinations that offer world-class museums and those must see sights, but we have seen trends lately of travelers spending less time in the big cities and spending more or all their time in those off the beaten path locations. 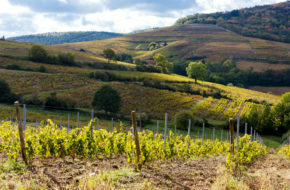 Why not spend some times exploring a winery with a wine expert or enjoying lunch with a winemaker, taking a cooking class, explore some of the cave paintings dated between 32,000 – 36,000 years old, take an immersion class to work on your language skills, rent a yacht or take a cruise and enjoy some time on the Mediterranean or even explore some of the destinations where the great impressionist painters gained their inspiration. Airport Security – Try to be ready when you go through security, don’t overload yourself with baggage. If possible apply for Global Entry to cut down on your time in the large crowds at the airport. Airport Arrival – Have a private shuttle or driver waiting to immediately transfer you to your hotel and limit your time at the in public areas. Accommodations-Consider staying in hotels, B & B’s, villas and apartments that have staff available to to assist you if needed. Do not stay on the top floor since in an emergency you would only have one options for evacuation. Do not stay on the ground floor as it is easily accessed from the street. Do stay up at least one or two floors and ask a room away from the main street. Itinerary – Make sure someone at home knows your travel plans. Travel Alerts – Register your trip in the Smart Traveler Enrollment Program that will keep you inform while traveling of any potential problems in the country you are visiting. Stay in Touch – Post on social media, so your friends and family know you are safe. You might also text or call whatever works best for you. Touring & Sightseeing – Hire a private guide that knows the local area. They are not only a wealth of knowledge, but will also have locals contact that might be helpful if needed. Keeping your tour small also eliminates risk of being in large crowds. Public Transportation – Uber or a Taxi are a great option for getting around town. Buses and metros allow access to the masses, but you might want to sit near an exit or the first or last car for a quick exit if need be. Trains can cause a bit of concern. I suggest buying a first class ticket to limit who has access to the car. In any of these cases you should always remain aware of your surroundings and if you feel uncomfortable get off and take the different mode of transportation or wait for the next one. Restaurant dining – Ask for a table where you can keep an eye on what is going on. Survey the restaurant upon arrival and know where the exits are. Telephone – Take time to add the local Embassy address and phone number to your phone or list on your itinerary. Each country has an emergency number and the one in France is 112. Make sure you have a working phone through your provider or you can buy a SIM card or cheep phone with one once your get to Europe. Travel Insurance – All policies are not created equal so look carefully to see what is covered and if you are covered in the event of terrorism or anything else that might arise. Common Sense – Please use your common sense and avoid demonstrations or areas that may be unsafe. Ask the hotel if you are not sure about an area. Stay alert to your surroundings and use your best instinct. While there is no guaranteed way to ensure safety while traveling, these few things might get you thinking. There are still incredible things to see in this world, so keep traveling and stay safe.